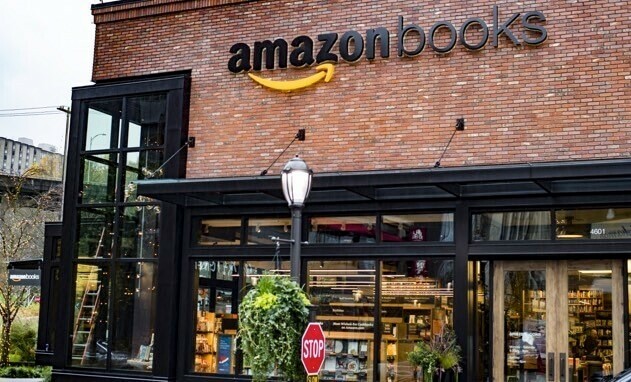 Amazon Books has made a bold move, opening its first physical bookstore in Seattle’s University Village to stock over 6000 books at the same price as their website. Yet, after 20 years of being every independent bookseller’s nightmare, why has Amazon now decided it wants in on the action? There are two main answers to this question. The first is that Amazon are looking to follow in footsteps similar to Apple; opening physical stores to raise brand profile and promote further awareness of goods and technology. The physical Amazon bookstore also offers customers the opportunity to test their Kindle range, which has recently seen a decreased demand. Notably, UK book chain Waterstones has announced it will no longer be selling the Amazon e-reader after reporting they were “getting virtually no sales” of the product. The second answer is that there is a newfound confidence in the physical book and the physical bookstore. For the younger generations, the millennials, a printed copy of a book remains the preferred choice. In a recent survey by Publishing Technology, 79% US millennials had read a printed book in the last year, nearly double the figure of those that instead chose an e-book. Within the same survey, 52% also said they “normally acquired” books from large chain stores, and 28% discover and purchase books by browsing displays in bookstores. It’s a curious decision to go from e-commerce to physical retail, and to most it might even seem like a step backwards, with the online retail market growing year on year. In the UK alone, the e-commerce market grew by 16.2% from 2014 to 2015. Online selling is also very different to actual physical retail, and for some customers it already appears Amazon still have a lot to learn. There have been accusations that the stock is too limited, the brief Amazon review cards are too impersonal and displays are too close together: all in all, a lacklustre experience. Perhaps by forcing a comparison with their own e-commerce wonder-site, Amazon are using this as a publicity stunt to highlight to us all that online is indeed best, especially in terms of displaying large quantities of stock with ease and efficiency. For a company that make tens of thousands of titles available online for purchase at the click of a button, this bookstore has yet to display Amazon’s real physical retail power. It would be a true irony if after years of sinking bookstores around the world, Amazon sunk its own.